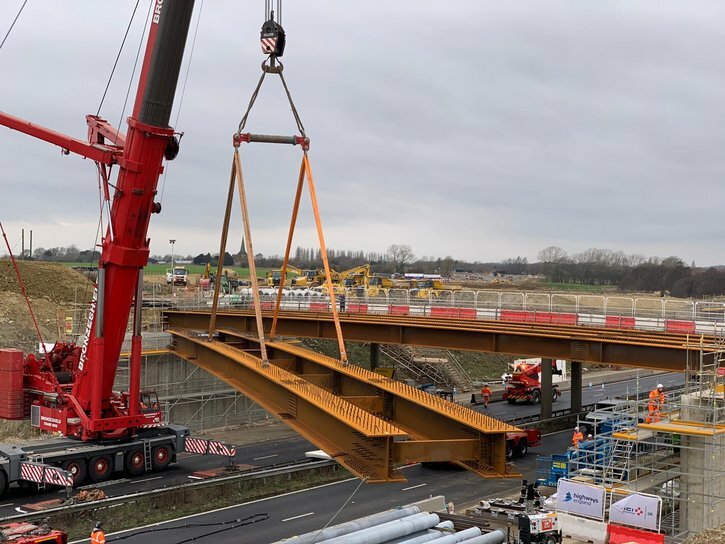 Our M20 Junction 10A team recently install two new interchange bridges to form the new junction’s gyratory. Work took place under two 55-hour motorway closures as part of the project, which will provide an additional junction on the M20 at Ashford to reduce congestion and help support local development. The eastern interchange bridge was installed under the first closure and careful planning meant that the work was successfully completed and the road reopened 8 hours earlier than planned and without accident or incident. This was a fantastic achievement, however the team felt that improvements could still be made using the lessons learned from the first closure and achieved re-opening on the second weekend closure a staggering 27 hours ahead of schedule. They also managed to complete additional works to reduce the requirement for future closures as part of the project.